A newly published children’s book on bullying sensitizes even the youngest ones to the very real dangers of that behavior. 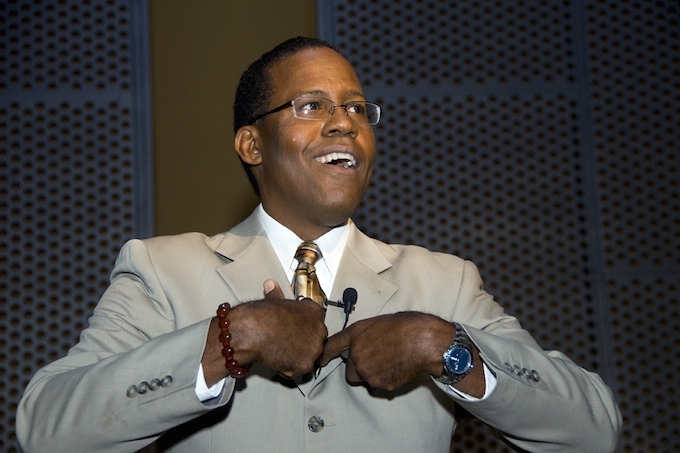 Internationally renowned American storyteller, writer, speaker, and educator Dr. Johnny Lake has been on the forefront of battles against social injustice all his life. As the grandson of Southern Black slaves and cotton pickers, this self-confessed “knucklehead” heard amazing stories from his grandparents, developing a keen sense of justice and equality, or the lack thereof, early on. Further inspired by African-American writers and civil leaders as diverse as Frederick Douglass and Malcolm X, his life’s work has focused on raising awareness and teaching about issues of discrimination, racism, the equality of men and women, the plight of the poor and marginalized in daily life, and, lately, bullying. “Turtle’s True Friend” is the book Johnny published on August 13 – a story with an audience of very young readers in mind, but with an anti-bullying message that is timeless and ageless. Beautifully illustrated by Virginia Doak and Robin Speer, it tells the story of how the turtle, once one of the fastest creatures in Animal Kingdom, felt he should change to please others in order to make friends. Did that strategy work for Turtle, and who became his friends along the way? What happens when you don’t engage in bullying, and how can you support someone exposed to that behavior? Look to Turtle for the answers. “Bullying is an epidemic in society, anywhere in the world. This book targets mainly kindergarten to sixth grade students to provide them with coping mechanism but also the understanding how to prevent it”, Dr. Lake tells us. He – a father of four adult children – loves kids, and they are often at the focus of his work, as in his best-known piece from 1998, “I Am The Child”. But as is typical for his publications – while written with a young audience in mind, the topics he tackles are universal, and concern us all. As one of the children used to practice racial integration of schools back in small town Tennessee in the 1960s, he experienced first-hand the breaking down of historical racial barriers in American society. After moving to Salem, Oregon in his early 20s, 58-year old Dr. Lake has built up an international reputation as a sought-after educator, trainer, and speaker over the past three decades but also as one of the leading American contemporary writers of poetry and short stories. In post-segregation America of the 1980s and 1990s, making himself heard and respected was not always easy for a young Black man, especially not for one as determined and confident in addressing prejudice and discrimination as Johnny, and he faced a number of opposing forces in the conservative ranks. But instead of choosing hate, anger and violence as a strategy or defense, he channeled his strong desire to build a better, more equal society into powerful writing and meaningful education. Engaging his audience interactively, creating effective dialogue, and provoking critical thinking are some of his hallmarks. He challenges his audience – whether it is a room full of first graders, a class for prison guards and administrators, or a conference of business movers and shakers – by embarking on difficult subjects and tackling hard questions in effective and interesting ways, getting people to think for themselves. His skillful and effective communication is helped by a kind, sensitive and caring personality, the pleasant Tennessean colouring of his accent, and his ease to truly relate to and inform everyone in the room. In his dozens of critical essays and hundreds of poems and short stories – many hauntingly beautiful in their simplicity and message – he invariably tells of hardships but also of hope, love, faith, and promise. He writes from an African-American perspective but universally speaks to and about all people, standing up especially for marginalized and disadvantaged persons, such as minorities, women, those with handicaps, at-risk youths, the poor and disenfranchised…or, as in this new book, children who get bullied. To quote Dr. Johnny Lake, “Once we share a story, we will never be strangers again”. Turtle’s True Friend can be ordered from the book’s official website. To learn more about Dr. Johnny Lake and his work and publications, please visit his website.